Count down the days until "you do" with Kate Aspen's Days Until I Do 11 oz. White Coffee Mug! 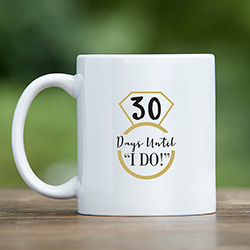 The nicely sized coffee mug holds a full 11 oz., and on white ceramic exterior shows a black " days until 'I DO'" message alongside a gold diamond ring. Using washable marker, you can even mark the number of days inside of the diamond design, as you get excited for that big day to come! 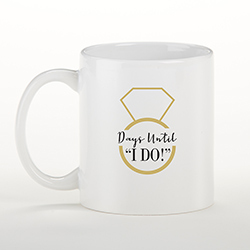 For bridal showers, engagement party gifts, or any occasion leading up to the big day, this wedding mug gift for bride is sure to be a treasured one she uses even long after the wedding day has passed! 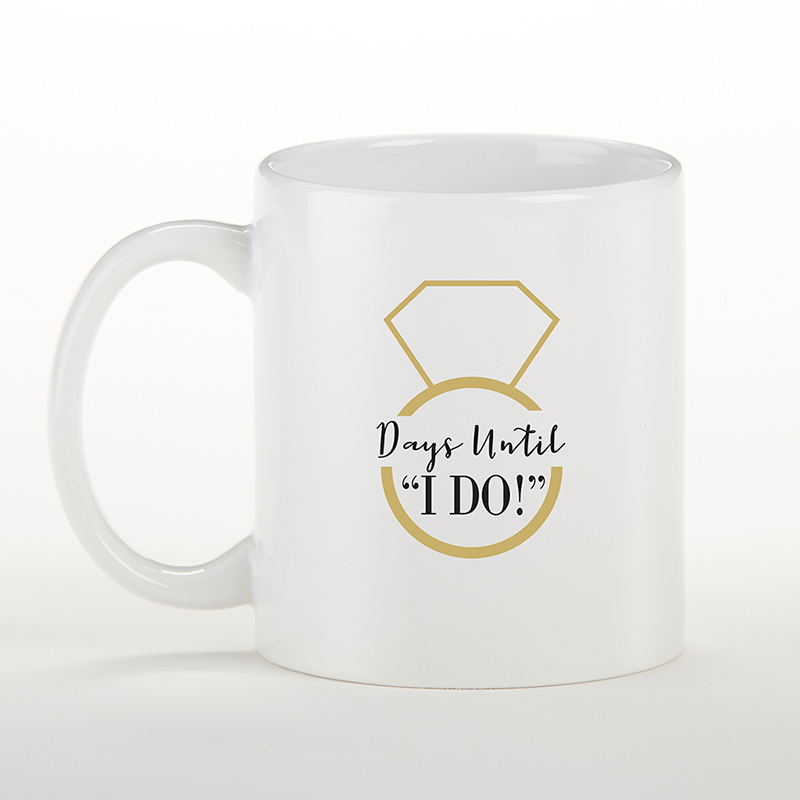 White ceramic coffee mug with " days until 'I DO'" in black text alongside a golden diamond ring design. Mug holds a full 11 oz.